YS Sharmila convened a press conference on Monday to share her views on various political developments in the state. She opined, 'Actor Pawan is acting under Director Chandrababu's Direction'. YSR's Daughter ridiculed TDP Supremo for coming with slogans such as 'Mee Bhavishyattu, Na Badhyatha'. She questioned what has Chandrababu Naidu done in the past 5 years. 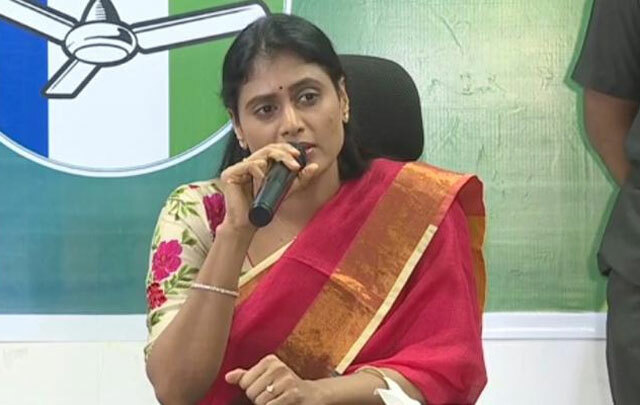 Sharmila rubbished the propaganda of TDP that AP Elections are between Chandrababu Naidu and KCR. She ruled out any such possibility saying KCR is the CM of Telangana not AP. To the question why she wasn't contesting in the elections, YS Sharmila replied YCP is going to form the government with a thumping majority. It shows that she is more than happy to see her brother carry the whole responsibility on his shoulders.